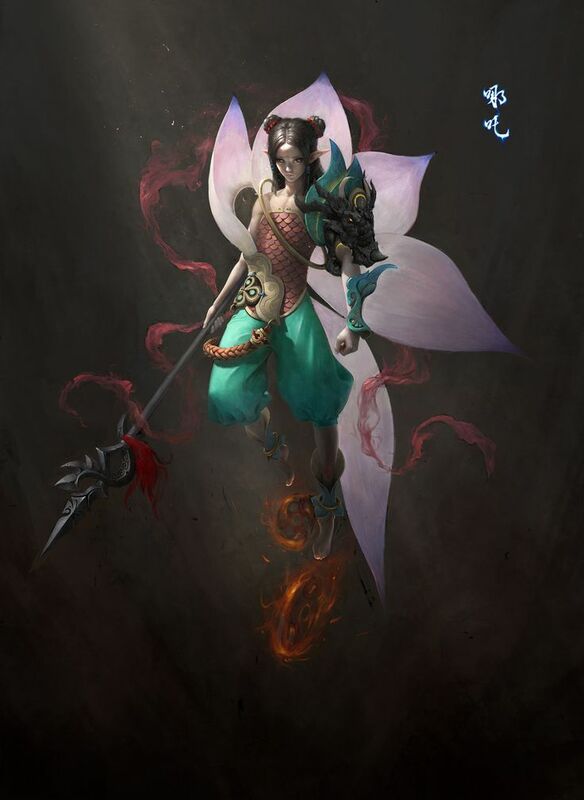 New Hero Idea : Necha | the Third Lotus Prince(Fighter/Assassin) - Creative Exchange - Mobile Legends: Bang Bang - Powered by Discuz! .when you die summon 6 huge petals of lotus from all direction to your dead body then merge to become lotus flower that will bloom after 3 second, when Lotus bloom you will reborn. .lotus petals will deal 200-400(depend on level)physical damage to enemy who passed through. .when lotus bloom stun enemy in area last for 1 second. .activate to make your Cosmic Ring widened then thigten, deals 115/175/235/295/355/415+(50% total physical damage)physical damage and knocking back nearby enemy while widened, and give you 125/150/175/200/225/250 max hp shield when thigten. .activate to accelerate your Fire Wheel which give you extra 10/15/20/25/30/35% movement speed and leave a fire track behind you that will burn which deal 20/25/30/35/40/45 physical damage per second to enemy who try to follows you. .target an enemy hero to mark last for 5 second. .when you attacking now will dash to marked enemy instead, which deal extra 75/150/225+(125% total physical damage)physical damage, also deal 100/150/200+(25% total physical damage)physical damage to enemy in a line while you dashing. .marked target will not knocked back when you activated Cosmic Ring but it will pull marked target toward you when the Cosmic Ring thigten. Seems she an annoying hero. With her passive, if people can't use her properly, she will become a massive feeder. Her passive is like built in immortality. Very unique. Btw, does that affected from cdr item also?